Giovanni Bellini helped usher in the revolution of oil paint, as opposed the tempera still preferred by many of the painters on the Italian peninsula. The dominant medium in Northern Europe, Bellini brought the technique to Venice, whose artistic community embraced it and produced paintings with vivid color and detail not seen before in Italy. 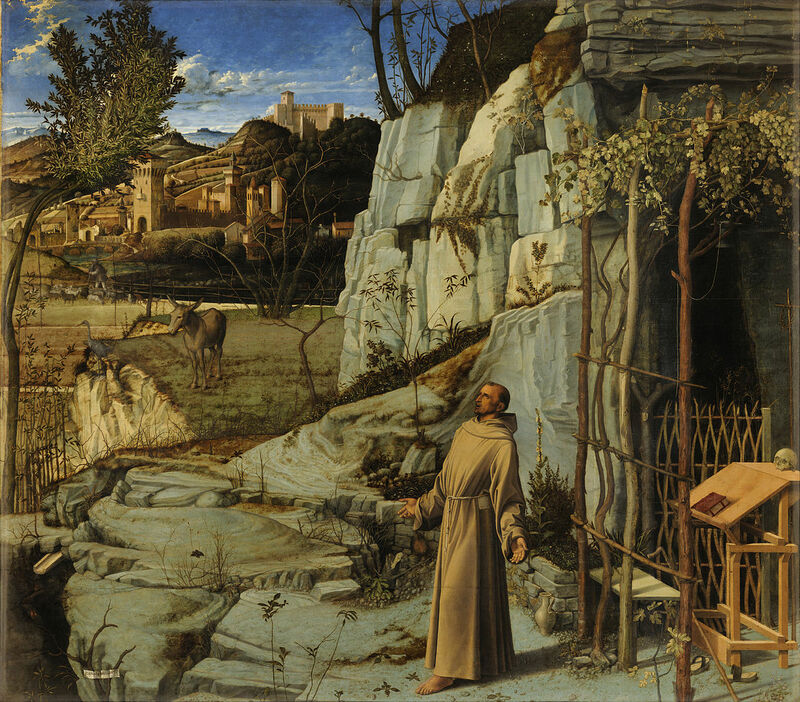 This painting depicts one of Italy's greatest saints, St. Francis, in a moment of deep connection with nature and the inherent divinity of the natural world.